The Maya' s - An ancient civilization that was capable of accurate predictions based on astrological planetary movements. A civilization which foresaw the end of world on 21-Dec-2012 and took steps to protect and hide the ominous prediction and its resolution until the time was right. The Maya Codex - the legendary codex written by the Maya to help prevent the destruction of world. The catch - it's hidden and can be found only when the time is right. The Maya created 3 figurines to protect the path to the codex. The 3 figures had to be placed at the exact place on the dawn of 21-Dec-2012 solstice to reveal the path to the Codex. The figurines themselves were hidden deep in the Guatemalan jungles to protect them from falling into unsafe hands. 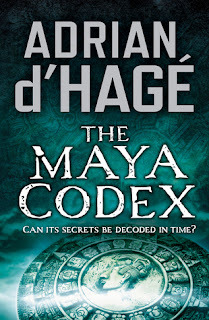 It is on this premise that "The Maya Codex" is based on. The hunt for the codex spans over 70 years, starting from Nazi Germany and ending in the jungles of Guantemala. Levi Weizman - an archeologist famous for his work on the Maya is engaged by Hienrich Himmler to find the connection between the Maya and the Aryan Master race. Weizman is Jew and not trusted by the Nazi's. Meanwhile Weizman is using the expedition as cover to do his own research into the Maya Codex and find to find the figurines that lead to it. The third player in this story is the Vatican, the Church led by Cardinal Felici don't want the Maya Codex found and shown to the world as they fear that it may contain something that destabilizes the Church. To get their hands on the Codex the Church forms an unofficial alliance with the Nazis. The Church's influence is managed through the Americans who also have their own interest in the Codex. As Levi Weizman and his family get caught up in the holocaust, he manages to hide 2 of the figurines found by him and hide the clues that point to the third figurine and the codex. 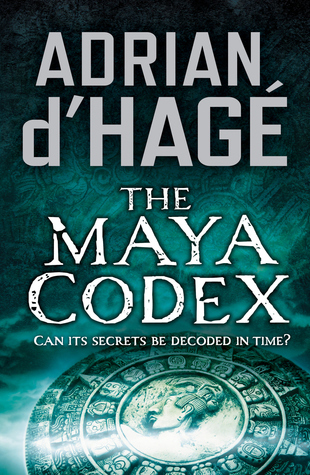 Fast forward to the present, the search for the Codex continues and so does the quest to control it. Caught in this power struggle is Curtis O' Connor who is sent to assasinate Dr. Aleta Weizman Levi's granddaughter who is following his footsteps to discover the Maya Codex. As Connor joins Aleta in her quest, he also becomes a target to be eliminated. As the date of destruction draws near, Connor and Weizman are caught in a race to find the Maya Codex before time runs out and all hell in unleashed. The book continues in the same vein as the previous d' Hage books. The underlying theme of the book remains the same as that of the other two: "There is more than one way to Omega".